Think comfort. Think fun. 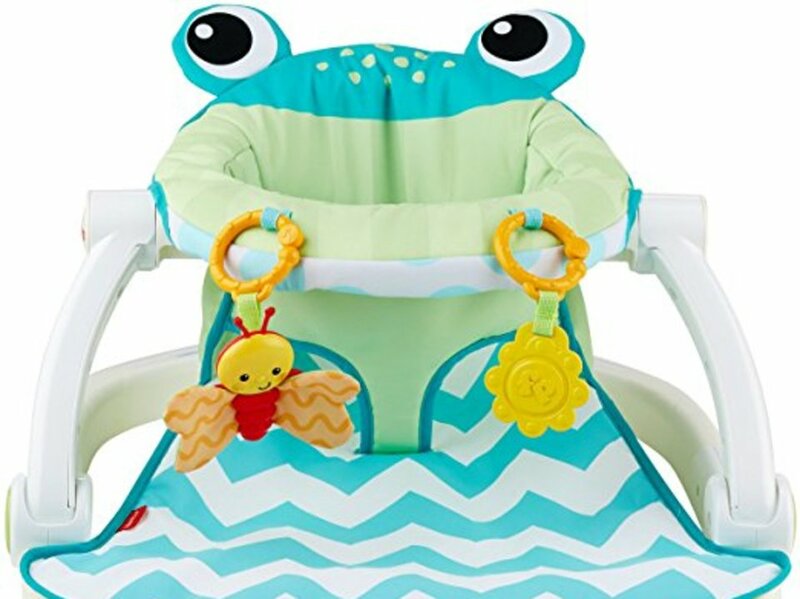 Think adorable froggy friend. All in one great seat! 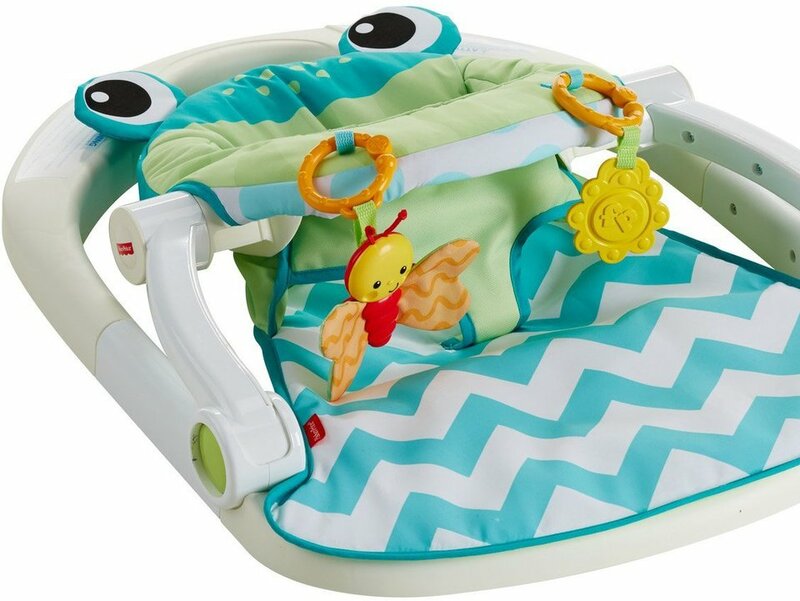 The supportive, upright baby seat with soft fabric (cute chevron pattern!) and a wide, sturdy base lets baby see and interact with the world around them. 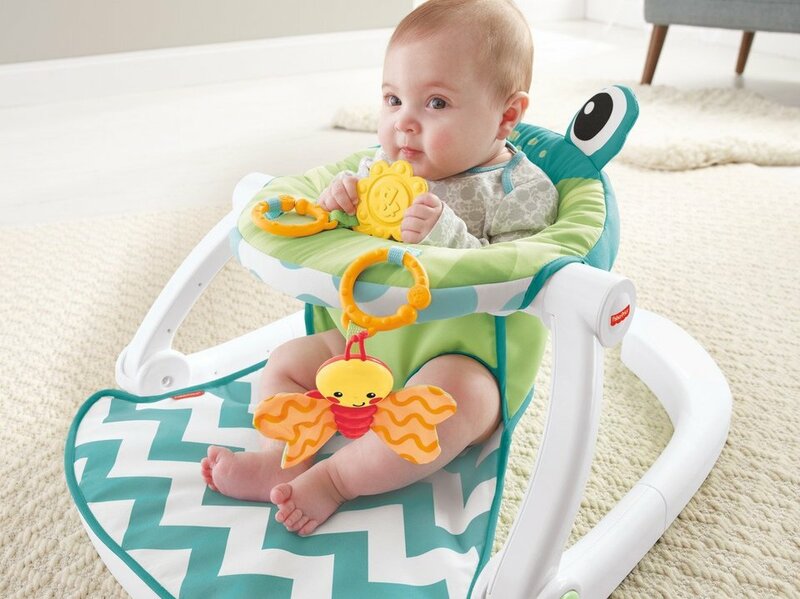 Perfect for playtime, two linkable toys invite baby to sit up and explore, encouraging reaching, grasping and development of motor skills.